The courses offered by Crypto Tax Academy help practitioners to add more clients and increase their revenue in the large and growing market of cryptocurrency traders and miners. There are an estimated fifteen million owners of cryptocurrency in the U.S. including over thirteen million users at the digital currency exchange Coinbase alone. The Academy features free courses as well as learning tracts that include 25 modules with over 45 hours of content and live Q&A. The Advanced Crypto Tax Expert (ACT-E) Designation has also been created to offer the ability to showcase the expertise of those who complete the Advanced course modules. Crypto Tax Academy students also get access to a number of bonuses not ordinarily available from typical tax education providers. Access to a monthly business growth coaching call, a year-round email support hotline, and actual marketing materials are included with paid courses. In 2016, the IRS sued Coinbase, the US’s largest exchange to receive KYC (Know Your Customer) data on an initial subset of its users and their trades. In the suit, the IRS asked a federal judge to order Coinbase to turn over its users’ account information to the taxing agency. The IRS asserted even though millions had traded cryptocurrency in 2015, only 802 taxpayers included their crypto trades on their tax returns. The judge signed the order in November of 2017, and the data was turned over in March of 2018 to the IRS who has it’s LB&I division working through it. The Academy believes that the Coinbase letters will be going out sometime during 2018 to over 13,000 traders from the 2015 tax year when cryptocurrency hadn’t even hit mainstream. There is a large contingent of traders who still haven’t included their cryptocurrency income for 2017 when crypto mania swept the nation. This is a client opportunity for those practitioners who know how to handle the business. Once the penalty letters are sent, those traders receiving them will flood to sites like Reddit, bitcointalk.org and the various Facebook and telegram groups where other traders not yet ensnared in the data turn-over to share their experiences with getting hit with large amounts of penalties and interest. That, in turn, will send those out of compliance looking for competent cryptocurrency tax experts. “There will be millions of clients looking for help. We might not be able to handle it all ourselves, so we are excited to help our peers to be ready for this coming onslaught of business.” said CEO Mario Costanz. Discounts are available for large firms or associations. Affiliate programs are also available for any companies that would like to offer this to their employees or customers. We offer a full range of courses tailored to tax, accounting, and finance professionals, with a focus on practical training pertaining to cryptocurrency taxation and accounting as well as marketing and business operations training to locate and service clients into any newly formed crypto tax practice. We specialize in helping practitioners to increase their revenue by incorporating cryptocurrency taxation expertise into their existing practices as well as helping those starting out in the business to build a tax practice focused on cryptocurrency taxation from the ground up. We are passionate about assisting forward-thinking CPAs, Enrolled Agents, accountants and tax preparers to understand blockchain technology and cryptocurrency so that they can intelligently speak with clients and properly prepare financial statements and tax returns. 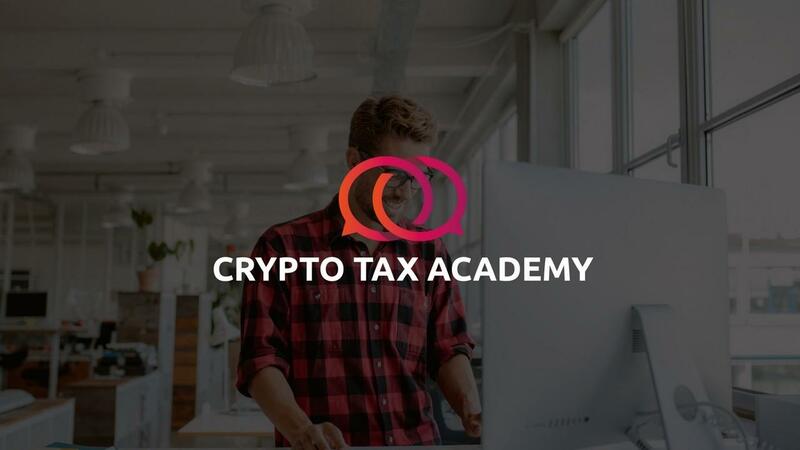 Crypto Tax Academy features free courses as well as learning tracts that include 25 modules with over 45 hours of content and live Q&A. The Advanced Crypto Tax Expert (ACT-E) Designation is also available to those that complete our Advanced courses. We harness the power of education to help our innovative students reach their goals. Mario Costanz’s best selling book, Crypto Taxes Made Happy is available on Amazon.com in paperback and kindle on Amazon.com and iTunes. The 180 page, best-selling book is available for free at https://www.cryptotaxacademy.com/p/free-book.